TAXES, FEES, CERTIFICATE OF TITLE, DMV, TAGS & TITLE ARE NOT INCLUDED IN THE SALES PRICE! YOU ARE NOT REQUIRED TO BUY ANY ADD ON PRODUCTS IN ORDER TO PURCHASE VEHICLE AT THE ADVERTISED PRICE! Value Added Options A/C Adjustable Steering Wheel AM/FM Stereo Auto-Dimming Rearview Mirror Automatic Headlights Auxiliary Audio Input Brake Assist Bucket Seats CD Player Child Safety Locks Cruise Control Daytime Running Lights Driver Adjustable Lumbar Driver Air Bag Driver Illuminated Vanity Mirror Driver Vanity Mirror Engine Immobilizer Floor Mats Front Head Air Bag Front Side Air Bag HD Radio Headlights-Auto-Leveling Heated Mirrors Intermittent Wipers Keyless Entry Leather Steering Wheel Mirror Memory Pass-Through Rear Seat Passenger Air Bag Passenger Air Bag Sensor Passenger Illuminated Visor Mirror Passenger Vanity Mirror Power Door Locks Power Mirror(s) Power Steering Power Windows Rear Bench Seat Rear Defrost Rear Floor Mats Rear Head Air Bag Security System Stability Control Steering Wheel Audio Controls Traction Control Transmission w/Dual Shift Mode Trip Computer Universal Garage Door Opener Variable Speed Intermittent Wipers Interior Leather Odometer Operable Mechanical 2.0L Turbocharged 4 Cylinder Engine ABS Brakes All Wheel Drive Automatic Transmission Flex Fuel Capability Keys. 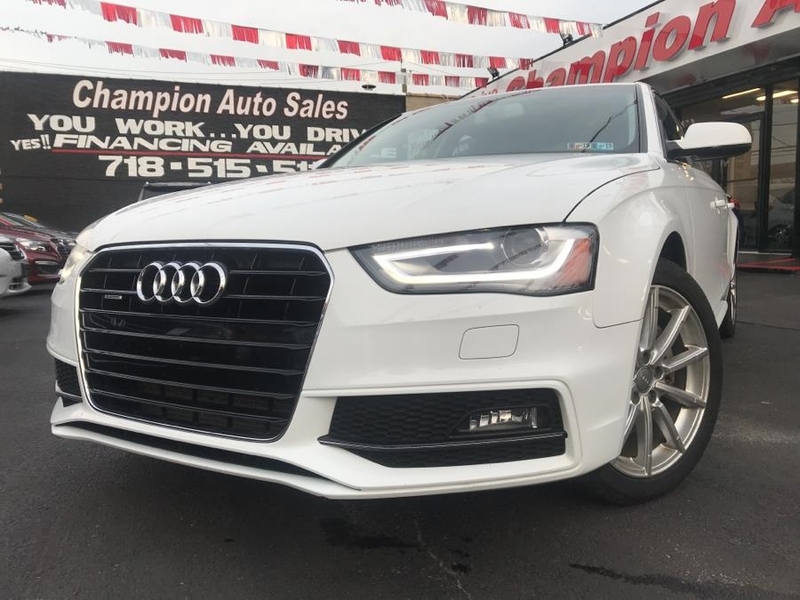 Visit Champion Auto Sales of the Bronx Inc online at www.championbx.com to see more pictures of this vehicle or call us at 718-515-5111 today to schedule your test drive.